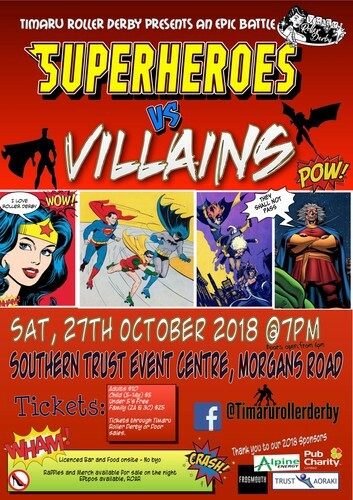 Timaru Roller Derby invite you to our October themed bout: Superheroes vs Villains. Doors open at 6pm, First whistle at 7pm. Bring a cushion and park up for an action packed evening. Tickets From Timaru Roller Derby, League Members or on the door.